Quality workmanship and an abundance of space makes this property a MUST SEE! 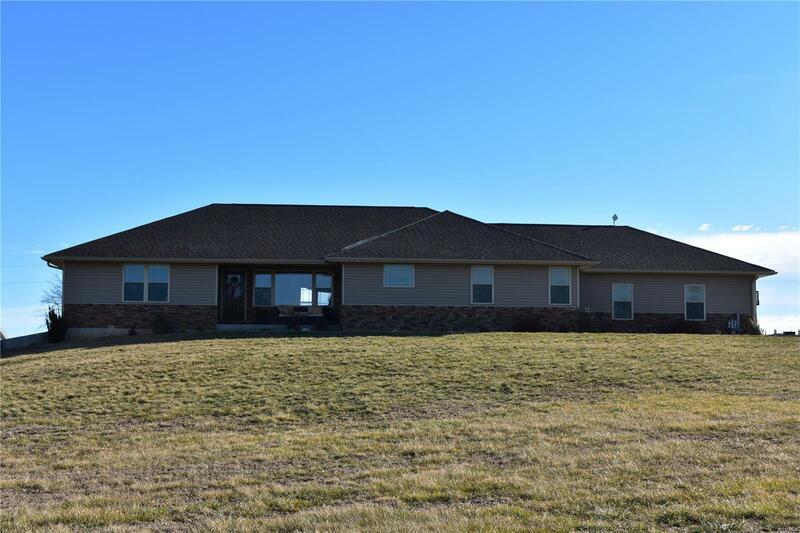 5 bedrooms and 4 full baths, this home is sure to meet your needs. Master suite is separate from the other 2 main level bedrooms and offers a 14x14 bathroom with 2 walk-in closets, double walk-in shower, garden tub, and double vanities. Main level laundry and separate office are a nice touch. Gorgeous kitchen with granite counter-tops, stainless steel appliances and a hidden door walk-in pantry. Nice living room with vaulted ceiling just off the kitchen. 2 additional bedrooms with 2 full baths finish out this level. Full basement with Theater room is a must see! The basement has a full kitchen with hidden door pantry and hidden safe room, family room with stone front wood burning fireplace. Two additional bedrooms in the basement with full bathroom. Lower level bathroom with full walk-in shower. Situated on 3A with a 26x41 3 car garage. Nice upper and lower patios are great for enjoying the countryside.